Whether you’re just getting started, need a refresher, or know the ropes and really want to sail for gold, our sailing sessions are tailored to suit you. 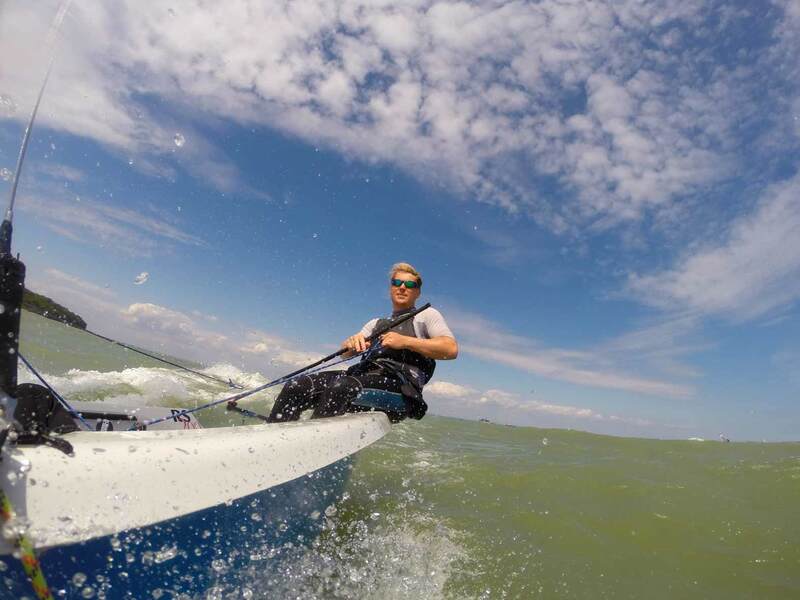 We provide all the kit and top notch instructors to make sure you have the best time on the water. 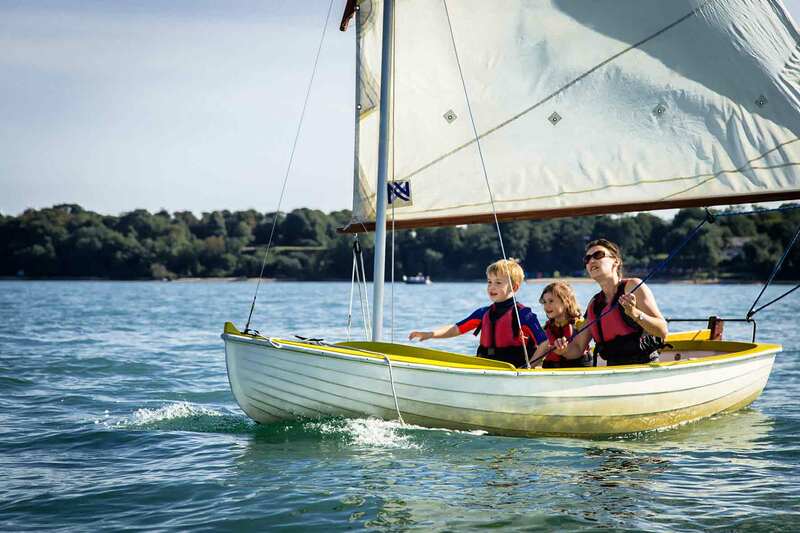 Our beginners sailing sessions are suited to anyone who fancies sailing but has never given it a go, or for those who haven’t sailed for a long time and need a refresher. Our 5-day courses are 2 hours a day and run throughout the season, depending on the tide. It is strongly recommended that you commit to all five sessions to get the best out of the course. If time is an issue, please contact us about intensive training days for up to 6 people. 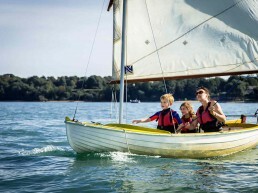 Beginners sailing weeks are open to both adults and children.  If you would prefer to take part in an ‘adults only week’, please inquire about possible dates. 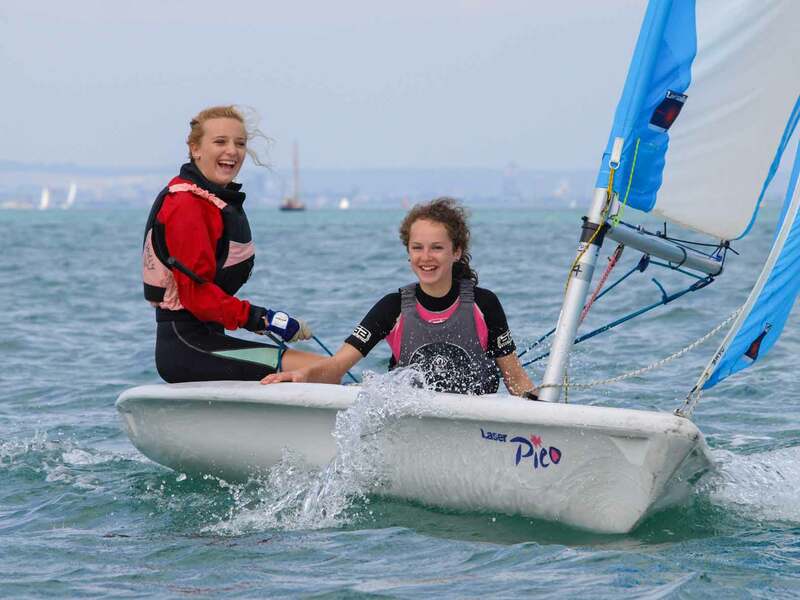 Our muck-in sessions are designed for those who have some sailing experience, but want the security of having an instructor (and safety cover) on hand. Take one of our boats to practice your skills, explore the coastline and know that you have a skilled instructor on hand for any pointers. 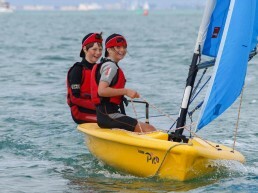 Private sailing sessions are available with our fully qualified instructors and are suitable for all ages and abilities. Learn to sail from beginner level, or practice more advanced skills with an instructor either in the boat with you, or alongside in a safety boat. 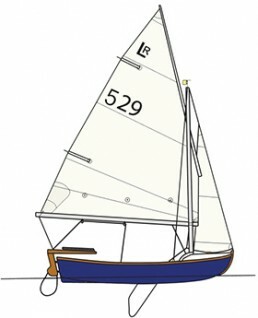 This small boat is perfect for novice/beginners to learn in and to build up confidence in a boat. 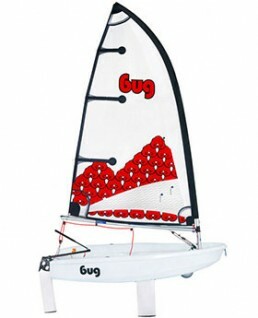 The Bug is ideal for small children and best used in beginner or private sessions. The Pico is suitable for beginner and intermediate level and is loved by older children and adults. 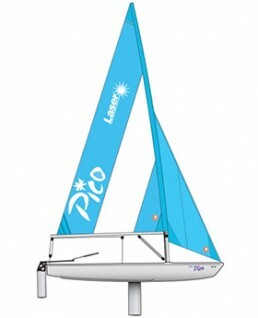 The Pico can adapt to suit different wind conditions and can be fitted with a jib. Best used in beginner sessions, muck-in and private sessions. 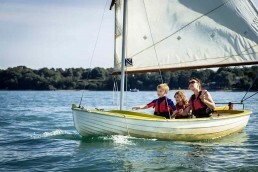 This all round comfortable boat is great for a family or for someone who wants to go solo. Quite a slow boat but very comfortable which makes it easy for a novice/beginner to learn the basics of sailing. Best used for beginner, muck-in and private sessions. The Laser is a lot quicker than a Pico and great fun as well. 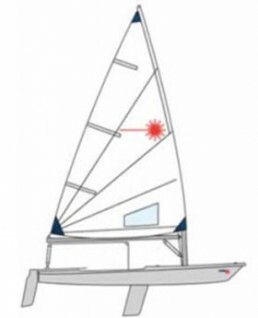 It is best suited for those who are intermediate to advanced level sailors. We have two different size sails (radial and full rig). Best used on muck-in and private sessions. 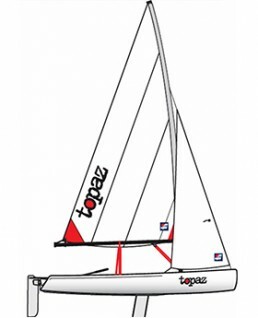 The Topper Topaz a great boat for progressing your skills. It’s double handed, easy to rig and great fun in all conditions. Best used in muck-in and private sessions. Perfect for all the family to fit in. 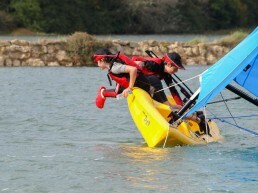 As many as five people can enjoy this all-purpose, easy to handle dinghy. 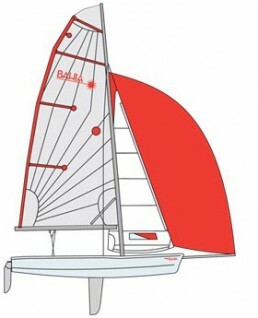 The Bahia is great for someone who wants to learn the basics of the performance side of sailing. Ideal for private sessions as an instructor can tag along and give close instruction. 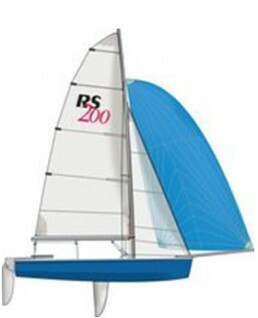 The RS200 is the most advanced dinghy we have at Tackt-Isle, but with its simple rig it won’t take long to get the hang of. Perfect for 1 to 1 sessions, thrill ride as crew or if you’re experienced enough with a friend just take it out for a spin with an instructor as cover if you need advice. 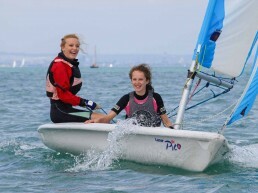 In addition to the above sessions, we run Skills Sessions for you to focus on a specific aspect of sailing. Please enquire for further information. For those with the need for speed, ask us about our Performance Dinghy Experience.